This post is sponsored by Global Influence. All opinions and acne anecdotes are mine. As I have entered my late thirties (my forty-something husband asserts that I cannot claim 38 is mid-thirties territory any longer), my skin has been doing some wacky things. Sure, I have slightly less breakouts than I did 20 years ago, but I have new skin anomalies. I can no longer get my eyebrows waxed at a strip mall nail spa without looking as if I have raw hamburger for eyebrows. If I innocently pick a pimple, I will be staring at a large red gnarly welt for about three weeks. If I blast my skin with acne-fighting chemicals to combat said pimples, my skin becomes so dry and red that more, weirder, alien pimples spring up. According to the dermatologists who make the Simple skin care and beauty products, all these disruptions are happening because I have sensitive skin. 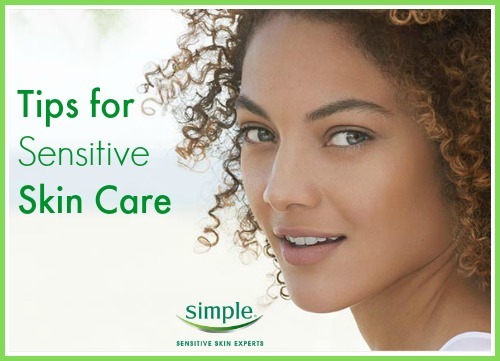 Simple has great tips for those with sensitive skin. The easiest changes we can make are to drink more water and protect our skin from the sun. Other tips are tough to follow but we know they are important, such as to stress less, sleep more and to follow a healthy diet. But the biggest changes we can make towards healthier, less irritated skin simply involve picking the right products. Products that are made without dyes, parabens, artificial perfumes or harsh irritants will help our skin look and feel its best. Simple products are made without all that guck, formulated especially for sensitive skin, and they are kind and gentle on all skin types. Simple events with Walgreens — In-store and Online! You can receive samples and free skin care advice from Simple beauty experts at your local Walgreens on Saturday, April 12th, 2014 from 10am-5pm. They are calling this fun, free event the Walgreens Saturdate. You can also get good deals on Simple products at Walgreens April 6 – April 12. If you buy any two or more participating Simple products you will get 3,000 Balance Reward Points and the second product will be half-off. Win big at the Simple skin care products #SimpleSaturdate Walgreens Twitter party on Thursday, April 10 at 8 PM ET with @ResourcefulMom. 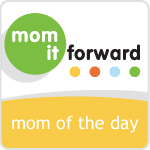 Ten winners will each receive a $50 Walgreens gift card! RSVP.